The Leonx Riders Unit Expansion Is Now Available from Fantasy Flight Games for Runewars Miniatures. Many Elves still see the Leonx Riders as little more than feral barbarians who have lost their connection to the teachings of Latariana and the Path of the Stars. Far from savages, the Free Hunters learned to temper their tremendous skill for hunting and combat with a deeper wisdom gained from their animal family. The mightiest predators killed only to survive, and the pack went to war only in defense of their own. Over time, songs were sung of the lost Latari children rescued from the wild by strange, feral elves, or even whole villages saved by elven nomads who could speak the tongue of animals. 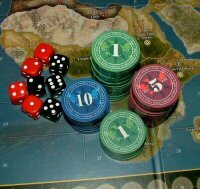 Nevertheless, some of the most prominent leaders of the Latari noble houses wished to exile these barbarians from their sacred forest. Shunned by the rest of Latari society, the Leonx Riders kept mostly to themselves and their pack, only making contact with the outsiders when offering aid. Now that the Uthuk Y‘llan have come back from the brink of extinction, the Latari must turn to these once shunned nomads if they are to survive. 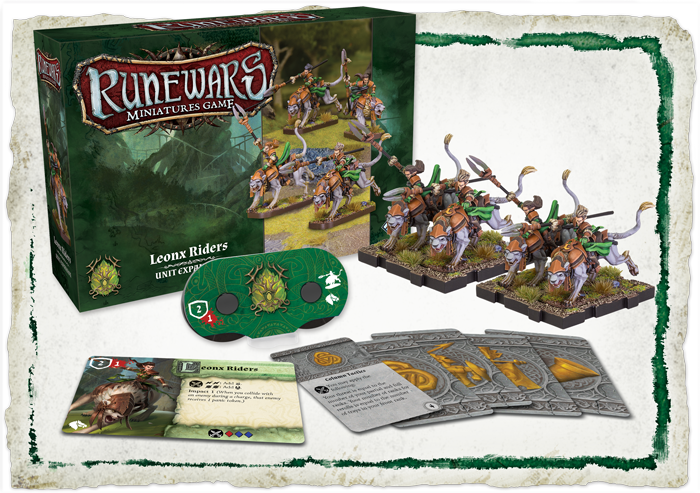 As you prepare your Elven troops for battle, you may choose to do the same—the Leonx Riders Unit Expansion for Runewars Miniatures Game is available now!